The head of the Catholic Church in Ireland has asked for prayers following the tragic deaths of three teenagers in a crowd crush outside the Greenvale Hotel, Co. Tyrone on St Patrick’s night. The three young people have been named as Lauren Bullock (17), a student of St Patrick’s College in Dungannon, Connor Currie (16) and Morgan Barnard (17), who were both students at St Patrick’s Academy in Dungannon. They died when they were crushed by the crowd as they waited to get into an event at the hotel. One other student remains in hospital in a stable condition. The PSNI is investigating the circumstances that led to their deaths. On Monday, Archbishop Eamon Martin issued a statement expressing his shock and sadness over the tragic incident. “Please join with me in praying for comfort and strength for all the bereaved and injured,” he appealed. Dr Martin said the joy and celebration of St Patrick’s Day in the Archdiocese of Armagh has given way to shock and sadness as “we try to come to terms with the tragic incident in Cookstown last night”. 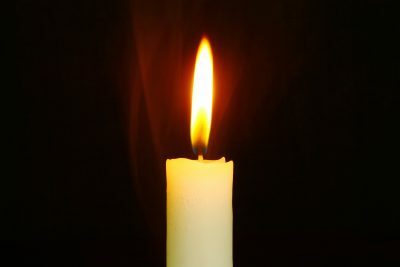 In the coming days, the Archbishop of Armagh said, parishes, schools and the wider communities of Dungannon, Donaghmore, Cookstown, and others throughout Co. Tyrone and beyond, will reach out with Christian faith, love and compassion to let the heartbroken families and schoolfriends know that they are not alone in their grief and loss. A book of condolence has been opened in St Patrick’s Church, Dungannon. The Archdiocese of Armagh includes half of Co. Tyrone, as well as counties Armagh and Louth and parts of Derry and Meath.